In April, Scania delivered the first vehicles with engines of new generation Euro 6. The buyer is a reputable company Marjanovic-TRANS from Futog, who decided to purchase seven double-axle trucks with engines of 440 hp. These are the first Scania vehicles in the fleet of the company from Futog , whose fleet currently has 54 other trucks from other brands. "The first 'Euro sixes' with highline cabins and standard equipment for the long-haul tractors, which, was enriched with roof air conditioning, on request of our buyer. This means that the specification includes an automated transmission Opticruise, fridge in the cabin, hydraulic ritarder, aero package (wind deflector on the roof and sides), fuel capacity of 1,200 liters, the saddle height hitch trailers to 1,050 mm and a system to monitor the main parameters of the vehicle C200 Comunicator," says mr Michel Mrdjen, Scania dealer in Serbia. "Scania trucks are double debutants in our company - The first time in the 22 years history of the company we choose the vehicles of this brand , and at the same time as the first vehicles with Euro 6 engines in our fleet," says company founder and owner of Marjanovic-TRANS, Boro Marjanovic. "Scania trucks enjoy a good reputation among carriers around the world, and from many owners of these vehicles in Serbia we have heard that they are very satisfied with their quality, performance and economy." All seven Scania trucks, company Marjanovic-TRANS has bought by Scania credit. 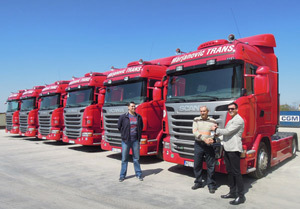 "Excellent financing conditions, with fixed monthly installments, without ambiguities and pitfalls of exchange rate and currency fluctuations, were one of the reasons why we decided for the first time for Scania trucks," says Marko Marjanovic, who continues the family business at the company Marjanovic-TRANS. As with other vehicles in the fleet, the new Scania trucks will be used for the International carriage of the goods from Europe to Turkey and vice versa, and from Serbia to Europe and vice versa. 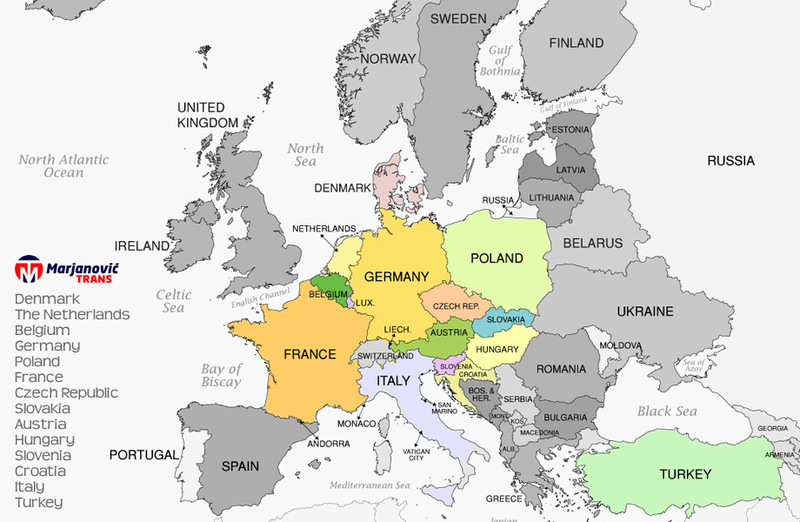 Clients include multinational companies, and about 90 percent of all transportation, Marjanovic-TRANS performs for large european and worldwide transport agents and freight forwarders. Company from Futog with 82 employees affirmed by a great respect of deadlines and transport reliability, and specialization in intermodal transport: half the trailers are multifunctional chassis for container transport, for which Marjanovic-TRANS is one of a leader in transportation industry in Serbia. Copyright ©2014 Marjanovic-TRANS d.o.o. Futog. Powered by Magnet Studio.